East Sussex welcomes thousands of English holidaymakers every year. When the sun comes out, families are quick to pack up their beach balls and deck chairs and picnic baskets and make the journey to the stunning coastline which has made the county so famous. However, many of the young families and elderly couples who choose to spend their summers in the county fail to realise that East Sussex has quite a sinister history and has been the scene of much tragedy since it first welcomed settlers in the 5th Century. When the sun goes back behind the clouds and those hunting happy memories take their money elsewhere, East Sussex welcomes a different kind of hunter, one in search of ghosts, demons, and the unexplainable. The paranormal fanatics who visit East Sussex all year round might be interested in any number of locations throughout the county. 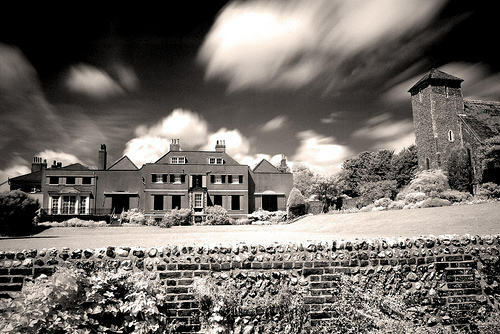 There are dozens, maybe even hundreds, of haunted manors scattered throughout Great Britain, but Preston Manor is very much in a league of its own. The manor’s history dates all the way back to the 13th Century, with its construction believed to have occurred in 1250. It has seen many changes since then, growing in size and reputation, and is today a Grade II* listed building owned by Brighton and Hove City Council. 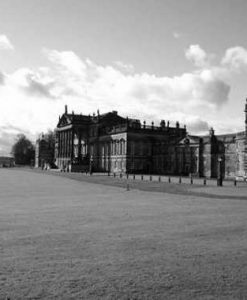 Owing to the history of the site, it is no surprise that the manor is said to be home to a variety of spirits, and the countless renovations which have been carried out over the centuries are unlikely to have done anything but increase the infamous paranormal activity. 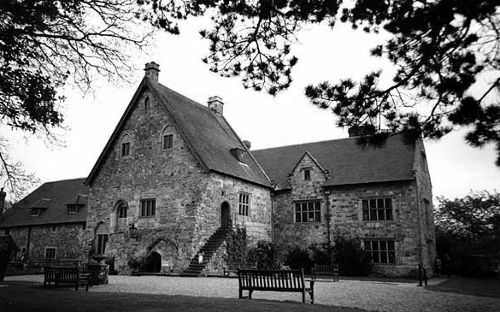 Among the many ghosts of Preston Manor is The White Lady, who first began appearing to visitors and residents in the 16th Century. 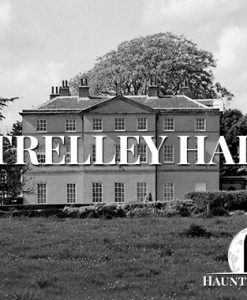 Reports of the white-clad figure increased in frequency during the occupation of the Stanford family, who lived in Preston Manor for so long that they were nearly synonymous with it. The family were apparently aware of the ghost when they purchased the manor but didn’t think much of it until one of Eleanor Stanford’s children encountered it in 1896. The child attempted to touch the spectre but it vanished before her eyes. A guest of the Stanford family also claimed to have encountered the spirit during a stay at the manor. According to the guest, The White Lady spoke to him and revealed that she had been a nun at the manor during its days as a monastery and was excommunicated in the 1500s, later being buried on unconsecrated land. Shortly after this revelation, builders working on the house uncovered the bones of a middle-aged woman. The skeleton was dated to to the 16th Century and received a secret burial in St. Peter’s churchyard. Hellingly Hospital started out life as the East Sussex County Asylum. It opened its doors in 1903 after the County Authority of East Sussex elected to build a new lunatic asylum to combat the serious overcrowding in Haywards Heat Asylum. Like all psychiatric hospitals at the time, Hellingly Hospital was remarkably cruel to its inmates, which is a much better way to describe those who were sent there than “patients”. Those deemed mentally unstable were subjected to a variety of unpleasant treatments and a lack of health and safety guidelines lead to frequent outbreaks of disease. Advancements in medicine and ethics resulted in many changes to hospital, but it never really achieved anything substantial and the main building was finally shut down in 1994. Despite the mass exodus of staff and patients, it seems that some were unable to find their way out of Hellingly Hospital. The abandoned building went on to become the focus of hundreds of ghost stories and was a popular site for urban explorers. 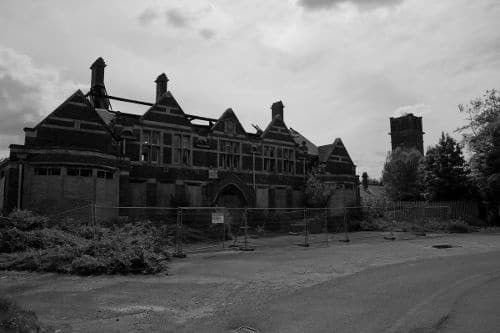 Many of the daring explorers who visited Hellingly Hospital during its years of abandonment reported such paranormal activity as thunderous footsteps echoing throughout the building, unexplainable mists, and feeling physically ill. Most everybody who entered the building reported hearing dozens of anguished voices, crying, yelling, and screaming for help. A couple of visitors even claim to have experienced time slips while inside the hospital walls. Only a couple of years ago, the abandoned building which was at one time Hellingly Hospital was demolished to make room for a housing estate, though why anyone would want to live there is beyond me. Pevensey Castle dates all the way back to Roman occupation. It is known that it was constructed in 290 AD, but its original use remains a topic of debate to this day. After Roman rule came to an end, the castle fell into a state of disrepair before being taken over by the Normans in 1066, from which point it was continuously occupied until the 16th Century. 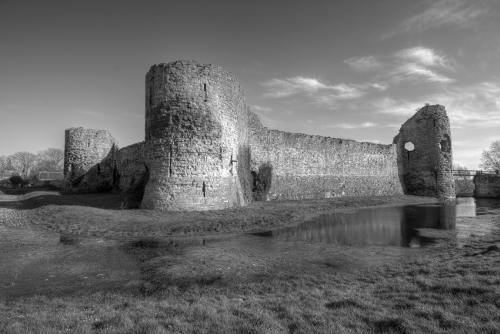 After those medieval residents left, Pevensey Castle returned to its abandoned state and remained so until it came into the hands of the government in the 1920s. It became a surprisingly useful location during World War Two, when machine-gun posts were added to the castle walls to protect the area from German attacks. 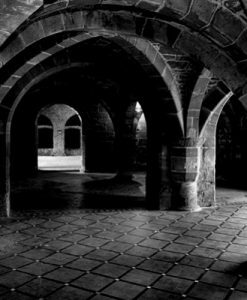 Among the many reported ghosts of the castle is a lady dressed in white who has been encountered numerous times down throughout the centuries. The most famous sighting of this particular white lady came when she appeared to a group of campers who had made their beds in a field near the castle. According to the campers, the woman passed by them on her way to the castle walls, appearing despondent and lost. Some pursued her to ensure her wellbeing but turned back once they realised she was not walking to the castle, but gliding. There have also been reports of a phantom army being heard approaching the castle walls. The spirits have not been seen by the human eye, but there is no mistaking the sounds of marching and chanting which have become synonymous with conquest and defence. There is no way to tell just which time period the invisible army is from, but some suggest it could be an entirely new army, comprised of the soldiers who lost their lives in the many bloody battles which have taken place at Pevensey Castle. Founded in 1229, Michelham Priory was originally used as an Augustinian friary, a role which it served right up to the Desolation of the Monasteries in the 16th Century. After this, the church on the site was demolished and the main building was turned into a place of residence for various members of the British upperclass. It evolved into a farmhouse sometime around the 19th Century and, much like Pevensey Castle, found new life as a base during the Second World War. Michelham Priory is believed to be haunted by a number of spirits of varying intentions. One of the most notable ghosts is that of Thomas Sackville, who owned the manor at one point in time. Sackville does not seem to have been a particularly pleasant man and continues his bad behaviour in the afterlife. He is said to get his kicks tormenting not just those who visit the manor, but his fellow spirits. A frequent recipient of Sackville’s wrath is the spirit of a young girl, who is purported to take refuge in a tiny space at the top of the staircase to avoid the former Lord of the Manor. 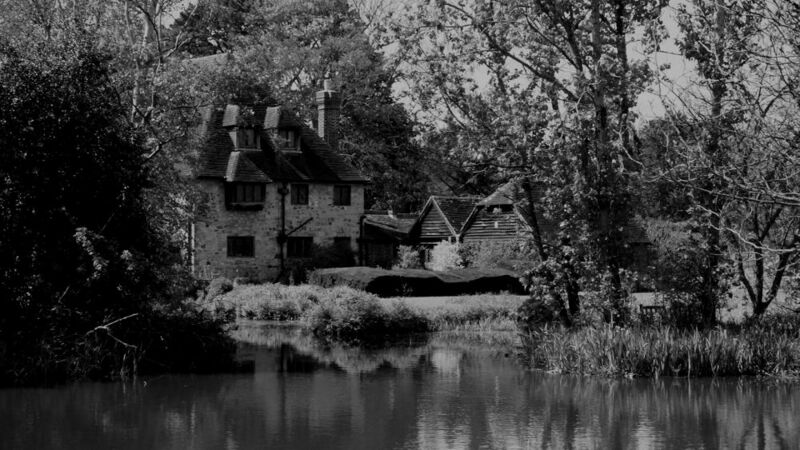 Michelham Priory has been the scene of much poltergeist activity, though it is unclear if this is caused by Thomas Sackville or some other unidentified but equally malevolent spirit. Visitors have reported being pushed and struck by unseen forces, as well as seeing doors and windows slam shut, seemingly of their own accord. The Mermaid Inn is another Grade II* listed building in East Sussex and the particularly avid paranormal fans reading this will be happy to hear it is still taking bookings. This 15th Century building is unlike any other haunted hotel in the world as it does not simply offer one or two ghosts to do the whole building. To the contrary, it boats a spirit for almost every room in the inn, meaning the chances of you sharing your bed with an entity from the afterlife drastically increase. Room 1 is purported to be haunted by the spirit of a white lady who sits in a chair by the fireplace, watching guests as they sleep. Many who have stayed in the room have complained to the hotel staff about waking up to find their clothes or any other personal belongings left on the chair overnight soaking wet. Room 16 is said to have been a key scene in a fight to the death between two men who, for whatever reason, deemed it necessary to duel inside The Mermaid Inn. Apparently, the feuding men fought throughout the inn until one of them was killed and tossed into the dungeon, where his ghost is said to haunt to this day. It seems the departed dueller is a sore loser, as he has taken it upon himself to terrify anybody who ventures into the basement of The Mermaid Inn. One employee was moved to resign after encountering the spirit while tending to the basement fireplace. Room 17 is supposedly haunted by the wife of notorious gang leader George Gray. Mrs. Gray is said to sit in the corner of the room and watch guests while they sleep, much like the slippery ghost of Room 1. 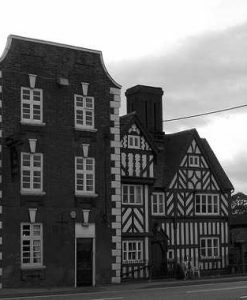 These are just some of the ghosts said to inhabit The Mermaid Inn. If you want to fully experience the spooky goings-on in the building, it may be necessary to spend a night there yourself.